Posted on November 3, 2015 by staceyanderton1	in News and tagged #Cain, SAP. “Who wants to be here?” said Tonier Cain to the students sitting in the Saegertown High School auditorium, staring blankly, unaware of the presentation they were about to experience. 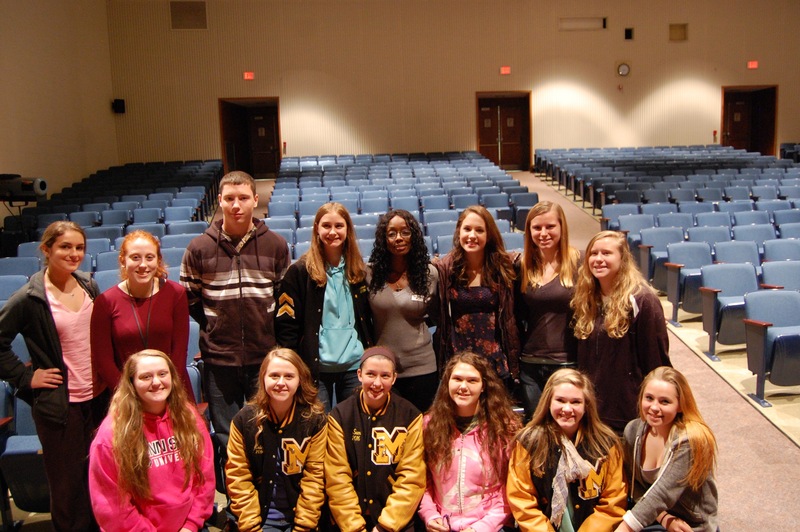 Tonier Cain visited Saegertown High School on Oct. 29, and talked to students of Saegertown, Cambridge, and Maplewood about trauma and how to cope with it. On Thursday, Oct. 29, PENNCREST Juniors and Seniors congregated to hear the story of a woman living on the streets turned successful movie producer, CEO, and trauma advocate. The one hour assembly focused on trauma and how to develop healthy coping behaviors. Cain shared her story of living on the streets for nineteen years while having a crack addiction and a culminating eighty-three arrests and sixty-six convictions. in 2004, while she was pregnant and incarcerated, she finally started to recover when someone asked her what happened to her. From there she started in recovery programs and is now a respected public speaker. “I thought it was an extremely beneficial assembly. It gave kids that don’t experience trauma a chance to take a walk in someone else’s shoes. And it provided coping skills and inspiration to the ones that are experiencing difficulties,” said senior Emily Johnson. Cain’s advice to anyone who is dealing with trauma is to seek help. If you or a friend are struggling, there are assistance programs in the school to help. This year for the first time, Saegertown High School has a counselor available on Tuesdays for Trauma Focused Services with parental consent. There is also the Student Assistance Program (S.A.P), and an anxiety support group. For more information, you can contact Mrs. Watt in the guidance office.